Could returning home help reset his life for the better? When his personal and professional lives go to hell, pastry chef Dylan MacGowan retreats to his childhood home. His grandfather, Paddy MacGowan, doesn't let him pout, but puts him right to work in the family's bakery. 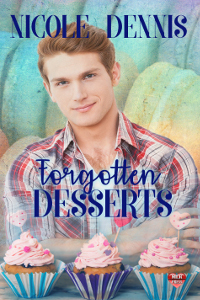 While putting out delicious pastries, Dylan rediscovers his passion for baking, honed by his grandparents, who raised him. He reconnects with his high school love, NicolÃ³ Cremaschi. Back then, NicolÃ³ remained deep in the closet, fearing his Catholic family. The secrets tore them apart. This time feels different when they meet and sparks flare between them. Their connection remains vibrant. Only more secrets threaten to undo Dylan's sense of security and home.